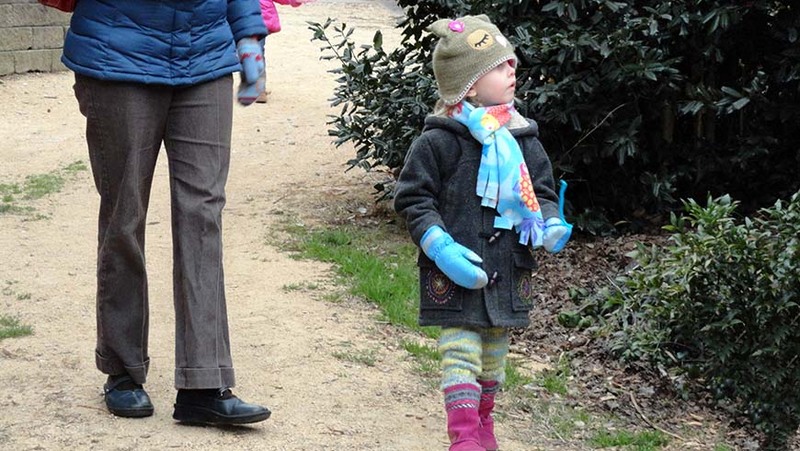 Chase away the winter blues with a hike through the Arboretum's Winter Garden! Meet at the Bobby G. Wilder Visitor Center ready for a fun time outside. From there, we will go to the Winter Garden, filled with beautiful evergreens, winter flowers, and sweet fragrances. After our walk, warm up inside with a good book and a fun winter craft to take home. Please come dressed for the weather as this program will be primarily outdoors. Parent or caregiver stays with child during the program. Suggested for preschool and elementary aged children. Parents or caregivers stay with children. Space is limited. Advance registration is highly recommended to save your spot! Bobby G. Wilder Visitor Center, JC Raulston Arboretum at NC State University, 4415 Beryl Road, Raleigh, North Carolina.